Please join me for the live classes and events. You will find the information about all my events and classes below. What will it take for you to come and play with me at the playground of Consciousness? Access Bars® Class– April 5, 2014, Saturday, 10:00 am- 6:00 pm. The first class in Access is The Access Bars®. The purpose of Access Bars® is to show people that they can actually lay there and receive. Having your Bars run, meaning the 32 points on your head being gently touched, effortlessly and easily releases anything that doesn’t allow you to receive. This 8 hour class is packed full of Access tools that can change anything in your life that isn’t working for you. And, you will learn the incredible Access Bars technique that has been changing lives around the globe. Are you finally ready to achieve your New Year Resolutions? People have experienced more ease and less stress and tension, less mind chatter, improved grades and work performance, increased self-esteem and confidence and less struggle, fear and judgment. I would love to share Access Consciousness TM with you. What would it take for you to join me for a Magical day that just might change your life? This delicious and yummy Access Bars Class will facilitated by Marina Mosina-Frazier. I am looking forward to seeing you! Snacks will be provided. Please bring a massage table if you have one, dress comfortably and feel free to bring anything else your body may require or desire. You Life is Calling! What are you waiting for? Cost: $200/first time, $100 repeating. Kids 15 and under are free and 16-17 $100. Welcome to the party of Consciousness!!!! And never too much Access Bars! This Access Bars® Gifting & Receiving is open to Bars Practitioners and to anyone that knows how to run the Access Bars®. All ages are welcome. I have one massage table, so if you have a table-please bring it. If you prefer, please feel free to bring your own pillow or blanket and anything else you may require to be comfortable. I will have water and light snacks-if you require something specific, feel free to bring it. Cost: $10 | Ages 17 and under free. 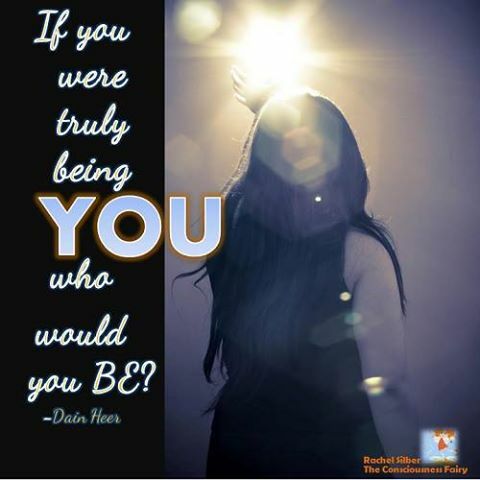 This is a F*R*E*E* intro class based on the book ‘Being You, Changing the World’ by the one and only Dr. Dain Heer. We will watch an intro facilitated by Dr. Dain and then give everyone the possibility of discusssion with Q & A and also, if our bodies are asking for it, maybe even give a taster of what Access Bars® are like. What would change on this planet if we were all just willing to be ourselves? What would change in your world? There will be some snacks and definitely groovy company. All amazing beings are welcome! 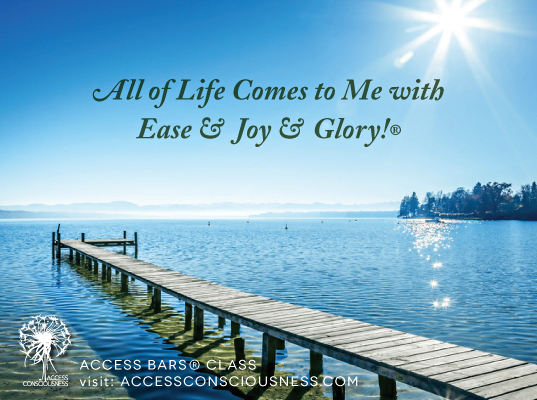 Access Bars® Class– March 8, 2014, 9:30 am- 6 pm. As usual, snacks will be provided. Please bring a massage table if you have one, dress comfortably and feel free to bring anything else your body may require or desire. WOULD YOU LIKE SOME TOOLS TO CHANGE ANYTHING IN YOUR LIFE? 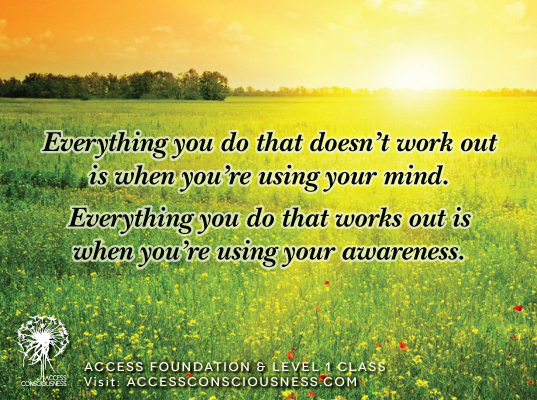 Access Consciousness® is a pragmatic system for functioning in and beyond a world that doesn’t function for you. By looking at life’s issues from a completely different perspective, it becomes easy to change anything. 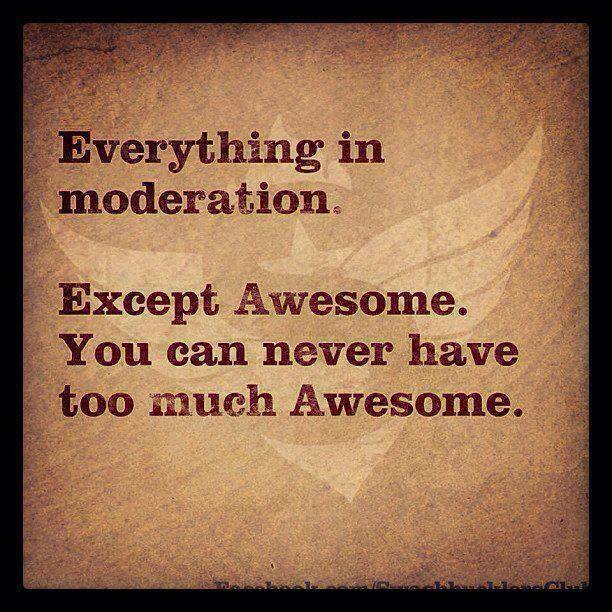 For anything to be limiting you, you must be functioning from some form of anti-consciousness or unconsciousness. So what would you like to choose instead? In Foundation you will begin to see the points of view that limit you and what you can change that would allow you to function from question, choice, possibility, and contribution. This class is about getting out of the matrix of this reality. What if you did not have to go to the past to create your future? In Level 1 you will discover how to truly create your life as you desire it. This class will give you even greater awareness of you as an infinite being and the infinite choices that you have available. This class is about creating more of “What else is possible”. What if anything is possible? What will you choose?